Home » 3DS » Noob Talk » Pokemon Sun and Moon » Noob Talk #3 : Pokemon Sun and Moon, New Starters, New Region and Possible Pokemon Go Crossover? 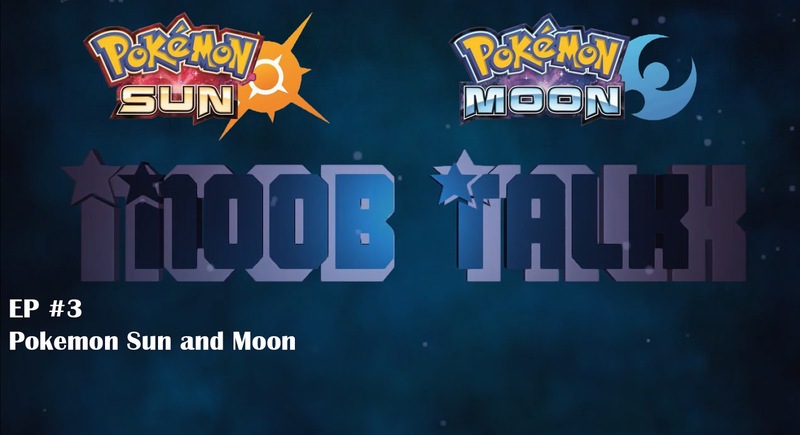 Noob Talk #3 : Pokemon Sun and Moon, New Starters, New Region and Possible Pokemon Go Crossover? On this week's Noob Talk, Liban and Saf look at the recently revealed title, Pokemon Sun and Moon which is set to drop this November! We got new starters, new legendaries and a new region! Do the current new starters interest you? Is the new setting really all that new? Could we potentially see some kind of crossover with Pokemon GO?